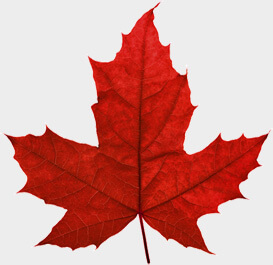 Minors who wish to come to Canada to study will need to have a custodian, or someone who watches over them. Form IMM 5646, Custodianship Declaration - Custodian for Minors Studying in Canada, is used to establish the student’s custodian. Custodianship Declaration – Custodian for Minors Studying in Canada (IMM 5646) is to be completed by the Canadian custodians of minor children traveling without their parent(s) or legal guardians to study in Canada. This form is required until the child reaches the legal age of 18 or 19, depending on the province which is their destination. Minor children traveling to Canada to study and not accompanied by parent(s) or a legal guardian require a responsible adult in Canada to take care of them. This adult is called the custodian. Such children require a letter of permission from the non-accompanying parent(s) and a completed Custodianship Declaration – Custodian for Minors Studying in Canada (IMM 5646) from their custodian in Canada. This custodianship form is required until the child is of legal age of the destination province. A custodian has to be a legal adult in Canada for whom legal arrangements have been made to act in lieu of the minor child’s parent(s) or legal guardians. Two documents are required - the first to be signed by the parent(s) or legal guardian of the child in the child’s native country and the second to be signed by the custodian. Both documents have to be notarized. This is to satisfy the visa officer that suitable arrangements have been made for the care and support for minor children who travel to Canada to study.